Born April 11, 1896 at Greenwood, MS. Matriculated at Davidson College, September 1913; A.B. Degree 1917. President of the Student Body, 1916-17. First Officers Training Camp at Fort Oglethorpe, GA May-August 1917. Commissioned Second Lieutenant August 15, 1917. Camp Jackson, SC, 324th Infantry. Trained at Fort Sill, OK and Minneola, Long Island, NY. At front commanding 24th Aero Squadron and operator of long distance naval guns. Died October 9, 1918 from six wounds received in aerial combat on October 8, 1918. 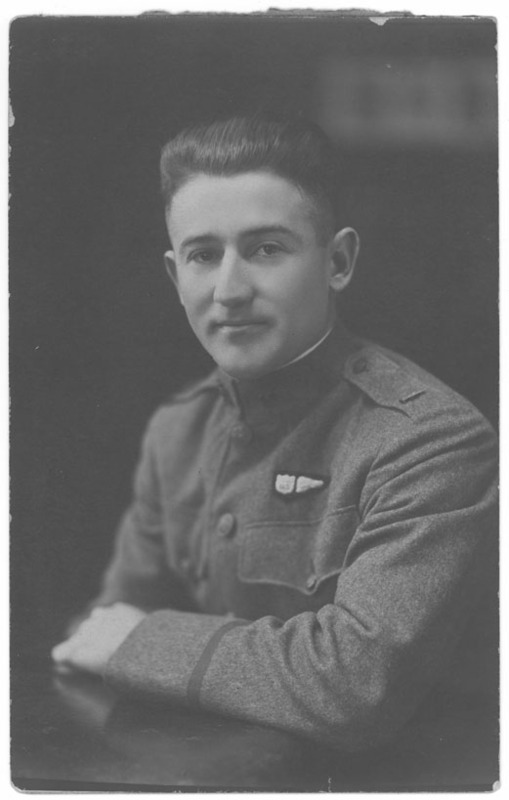 Keesler Air Force Base in Biloxi, MS is named in his honor. “Samuel R. Keesler, Jr. Died in German Prison.” Charlotte Observer, 13 Dec 1918: 12. “Samuel Reeves Keesler, Jr.” Find A Grave, 7 Aug 2010. Web. 1 May 2014.